Community Education - Watamu Marine Association. 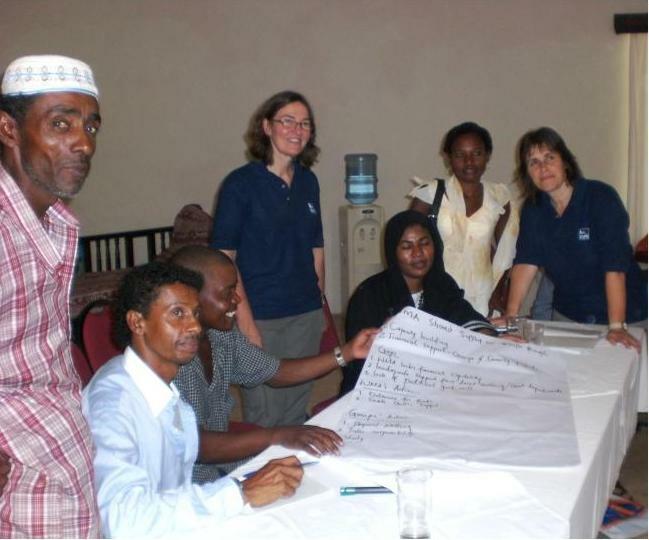 Many of WMA member groups are local Community Based Organisations (CBO's), including women's, youth and self-help groups. The groups are highly motivated and enthusiastic in promoting their self development and self-sustainability. WMA draws on its skilled members and supporters to help provide education and capacity building input. Furthermore, partnerships have been created with professionals who have been willing to volunteer their time and expertise to provide workshops for our CBO's. WMA and its members have enjoyed a long relationship with environmental educators, Catherine Gleave and Janet Wilson from the Royal Society for the Protection of Birds Northern Ireland and directors of the charity Gift International. They provide various workshops dealing with capacity building exercises such as advocacy and public relations. Their most recent workshop for WMA members dealt with CBO leadership focusing on roles and responsibilities of committees and executives. 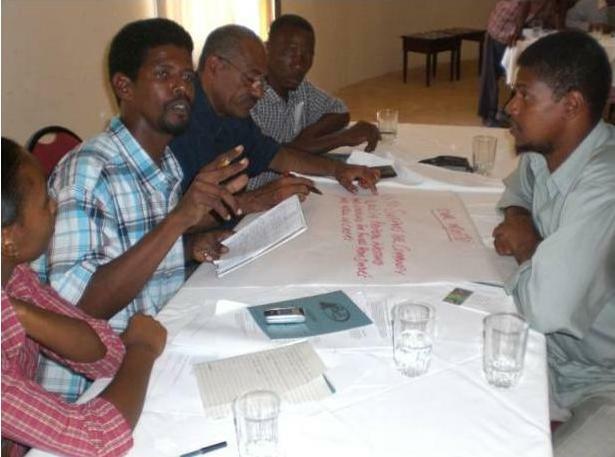 WMA are developing a number of training programmes for local community members. IT proficiency is seen as a very useful and important skill for CBO members to have. Funding for the first course was kindly provided by the John Spurling Trust. The secretaries from eleven of our CBO's received IT training and were awarded certificates. WMA have just received funding from Gift International for a second course to train CBO treasurers to assist them with their book keeping and accounting. If community groups representatives are computer literate it will open opportunities for them to develop better relations and partnerships within WMA and the local business sector. They will also be able to write funding proposals of their own, promote their activities and ultimately strengthen WMA. For enquiries and should you wish to assist practically or sponsor any of these initiatives, please see contacts below.